Qualified social workers, Liz Howard and Nimal Jude recently joined the Social Work England Implementation Project (sponsored by the Department for Education and Department of Health and Social Care) to work on preparations for the official launch of the new body. 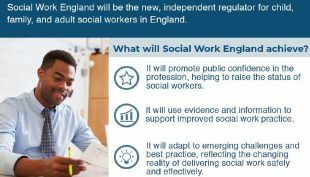 From next year, Social Work England will become the single professional regulator for all social workers practicing in England. Liz and Nimal have become part of a multi-disciplinary team of colleagues drawn from the public, private and voluntary sectors, as well as professional and regulatory bodies. Here they explain why they are so passionate about helping to shape this new organisation. 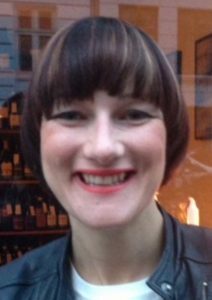 Introducing Liz: “I was excited to discover that Social Work England will have a base in Sheffield and that they were looking for experienced adult social workers. I felt immediately that this was an opportunity not to be missed and sought the support of my manager and colleagues in expressing an interest in the role. 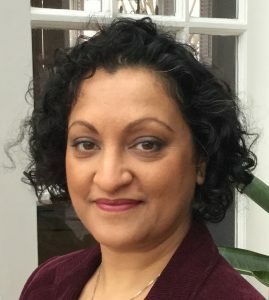 Introducing Nimal: “When the opportunity for this role came up, I could see that all the work we had done with teaching partnerships in relation to enhancing entry requirements and creating clear CPD pathways was something that might be useful. I was gob smacked to learn I had been successful and I could not wait to connect with Liz. In our second and third week, we had a string of board and project meetings that really helped cement the programme and plan of work in our mind. As ever in a new role, acronyms proved to be a challenge. 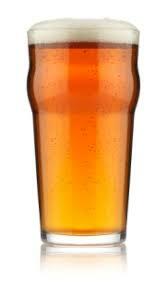 Nimal spent 20 minutes in one meeting thinking IPA (Indian pale ale) might be sponsoring Social Work England! Although the number one reason for regulation is protecting the public, we’ve been reassured that all systems and processes introduced by Social Work England are intended to be smooth, meaningful and beneficial for social workers. As a non-departmental body operating at arms-length from government, the organisation and its infra-structure are being designed to meet the needs of modern social work. One of our first tasks was to work with the digital team to engage with professionals and service users to inform development of our online presence. Talk to our people? We can do that! With the team’s help we set up focus groups and telephone interviews to research people's experiences and views on certain issues, including social work registration, raising concerns and fitness to practice. We also engaged with children and young people, carers and people with support needs, education and training providers, PVI colleagues, practitioners, managers, teaching partnerships and bodies representing social workers. By analysing the responses, the digital team were able to create personas which helped keep in mind the needs and interests of those most likely to use the digital platform. I did not even know what a social worker actually was. I only recently found out that they (social workers) have to pay out of their own pocket to be registered or they can’t call themselves social workers. They have to do it, they have no choice. These and comments from academics, social workers and other care and support professionals have helped us establish what our various audiences need and want to know. Will fees go up when Social Work England become the regulator? Will students have to register with the new regulator? Will the new website have information about continuous professional development, training and courses? We’re already answering these and others questions as part of a ‘fast facts’ resource so that social workers and those in related fields can get the critical detail they need before exploring further. We feel enormously proud to be a part of the implementation team and to be representing social work in this new and exciting chapter for the profession. We look forward to meeting many more social workers, service users and other social care professionals before Social Work England becomes fully operational next year. Let's hope, as a long-retired community social worker, at eighty and living alone in Cambridge, that people on the actual (and potential) use of challenges to loneliness and isolation are involved. But unless we re-include the principles and values of community development theory and practice, grass-roots upwards practice, radical networking, transferring power whenever possible to people on the receiving end, combating inequality et al we are wastingour time. I'm of your generation and well retired, although I am active in voluntary work (in Norfolk and north Suffolk), especially in disability rights and mental health. I'm in ready agreement with everything you say. I qualified in Plymouth in 1972, at a time when BASW was building it's first Code of Ethics and Practice which I contributed to. I'll be watching the development of the new body carefully. It's interesting that social work once again has its own regulator. I didn't think it that difficult to explain why housing, relationships, economic welfare, etc. are linked to health.